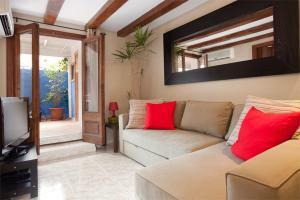 Just 10 minutes’ walk from the Sagrada Família, Aragon offers an air-conditioned apartment with free Wi-Fi and a furnished patio. 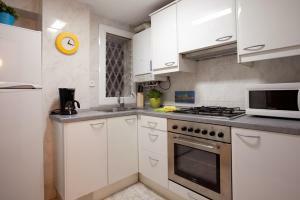 It is 400 metres from both Verdaguer and Tetuan Metro Stations. 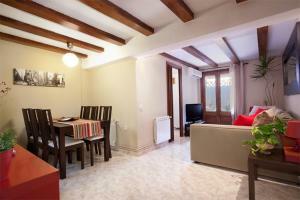 Featuring exposed beam ceilings, the apartment at Aragón comes with 3 bedrooms and 2 bathrooms with hairdryer. The living room, equipped with a corner sofa bed and a flat-screen TV, opens onto the private patio; while the kitchen includes an oven, gas hobs, and kitchenware. 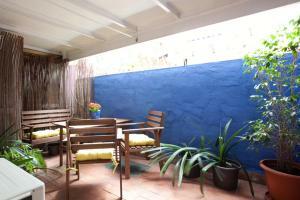 There are plenty of bars, restaurants and shops within a 2-minute walk of the apartment. Well connected by public transport, Aragon is a 10-minute metro ride from Barceloneta Beaches. Regular airport trains to Barcelona El Prat Airport leave from Barcelona Passeig de Gracia Train Station located just 700 metres away. Please note that there is a € 30 charge for late check-in starting from 20:00. 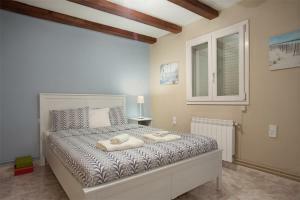 This air-conditioned apartment offers 1 double bedroom, 1 bedroom with 2 bunk beds, and a single bedroom. The living room, equipped with a corner sofa bed and a flat-screen TV, opens onto a private furnished patio; while the kitchen includes an oven, gas hobs, and kitchenware. 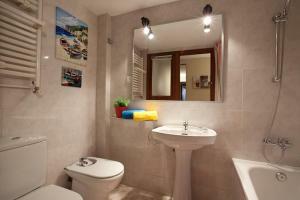 There are 2 bathrooms with hairdryer; and a washing machine and cleaning products are available. Rate: € 193.59 ... € 208.73; select dates below to get current rates.